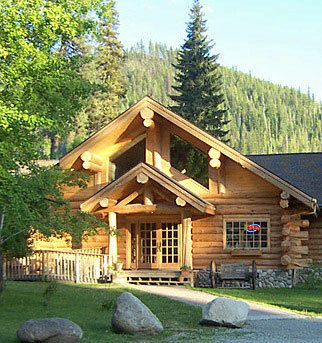 Several of our trips are based from the historic Lochsa Lodge, only 50 miles from Missoula, MT. Surrounded by ancient cedar trees on the banks of the Lochsa river, you can enjoy a warm cabin, homemade meals from classic to gourmet. Choose from a variety of cabins, fresh comfort food at the restaurant, local brews at the bar and bonfire at night. Call Lochsa Lodge at 208-942-3405 for cabin reservations. Camping available at Powell campground, short walk to Lochsa Lodge, call 1-877-444-6777 or go to reservation.gov. If you are driving from Spokane be sure to ask about the Petty Creek Rd cut-off connecting I-90 to Hwy 12, saving an hour of drive time.